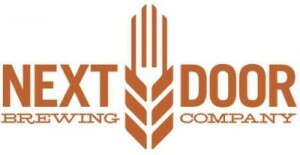 Next Door Brewing Company is a restaurant and brew pub on the east side of Madison, just off “Willy Street” along Atwood. Their beers include the Bascom Blonde American Blonde Ale, Luminous IPA, Eastside American Pale Ale, Rockets Red Ale, Hammerhead IPA, and Sevex, a unique stock ale. Seasonals include Sunshine Wheat, a Bam Ba Lam Black Ale, Iron Brigade Stout, a Batch 100 Barley Wine, and more.